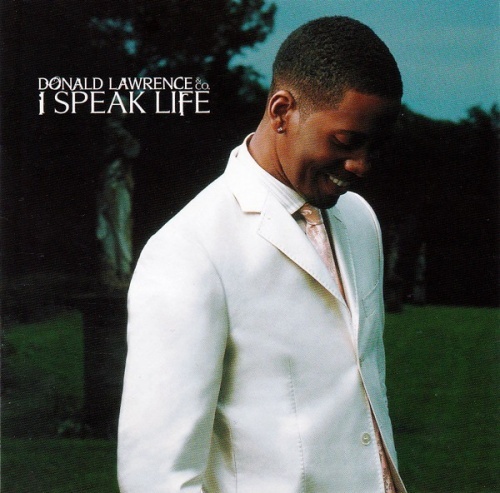 Donald Lawrence opens I SPEAK LIFE, his first record without the Tri-City Singers, with "Healed," a song where he delivers, in the most welcoming and relaxed tone, a universal sermon of finding recovery in a return to salvation. In the middle of the song, Lawrence unguardedly remarks "I like this part." It's that sense of openness that permeates the album, embodying the joy that makes Lawrence's gospel so markedly appealing. This particular sense of joy has attracted, in addition to a legion of fans, many leading lights from both the inspirational and secular musical worlds to collaborate with Lawrence here. Like-minded preacher Hezekiah Walker joins Lawrence on a self-proclaimed "simple song," the funk-infused "You Covered Me." Faith Evans provides most of the vocals on the light R&B ballad "Say a Prayer," and Carl Thomas offers a more rousing presence on the hip-hop-flecked "Angels." Elsewhere, jazz notable Ramsey Lewis and R&B singer Lalah Hathaway present a lush interpretation of the skillful Lawrence composition "Don't Forget to Remember." Through it all, Lawrence pops in with observations and gospel, always earnest, always passionate, always speaking with the voice of a soul constantly seeking, yet ever at rest.